News about Facebook’s disturbing interest in people’s personal information is nothing new. As the world’s largest social network, their large knowledge base and social graph of people is well known. However, Facebook’s recent efforts to collect data on every many, woman and child seem to be establishing the popular social network as the mother ship of personal information. 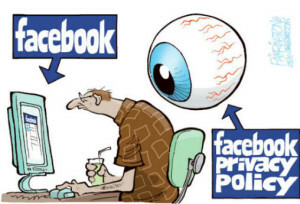 A European study by the Belgian Privacy Commission that was released a few weeks ago found that Facebook continues to track people even after they opt out of Facebook’s tracking program. The study further claimed that Facebook continues to collect personal information on people’s online activities even after they log out of the site. In addition, Facebook reportedly even tracks people who don’t use their site by having their social sharing buttons and plugins set tracking cookies on the computers of people who visit other sites that use these social media features. Now comes the news that Facebook is working with the world’s largest data brokers to collect as much information as possible on as many people as possible, regardless of whether or not they are registered users on Facebook’s numerous online services. Even if you spend your entire life offline, that doesn’t mean that Facebook doesn’t want to know as much about you and your habits as they can get ahold of. Facebook is not just a social network, it is the second-largest internet advertising company in the world and they are interested in recording everyone’s consumer habits, both online and offline. Some of the big data brokers that Facebook is reportedly doing business with are Datalogix, Epsilon, BlueKai, and Acxiom. These companies collect and compile consumer dossiers on almost every American, and millions more people around the globe. These detailed reports on people can contain hundreds of detailed data points on an individual. Acxiom has admitted publicly that it has an average of 1500 unique data points on over 500 million people worldwide. Facebook is a company that is moving quickly from being the place where people reconnect and communicate with family and friends to becoming a consumer data behemoth with eyes and ears everywhere.